There's more to goodness than keeping the Commandments: you've got to cultivate virtue, too, so that you please God in what you do not merely in what you don t do. In these pages, you'll learn countless ways to grow in such virtue. The wise Msgr. 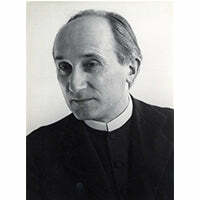 Romano Guardini, a German priest hailed by Pope Benedict XVI as a great figure who aspired to the truth of God and to the truth of man, leads you from a consideration of virtue in itself to a discussion of each of the key virtues that will make you holy and lead you to God. Asceticism: it's not just for monks without it, you may not be saved! Plus: many other topics to help you grow in the virtues that lead you to God!